Throughout January over 40 truckloads of concrete was poured for the new Main Road Bridge, which is about 258 cubic metres. 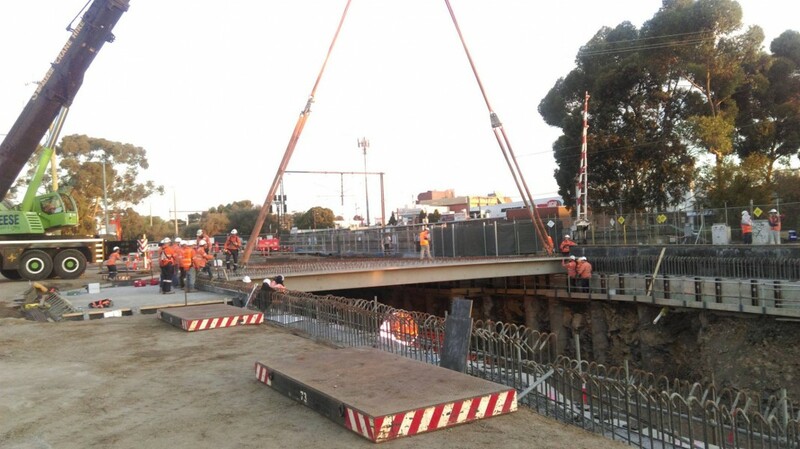 The new bridge will allow traffic to flow on Main Road as normal, while the construction team dig out the new train tunnel underneath. 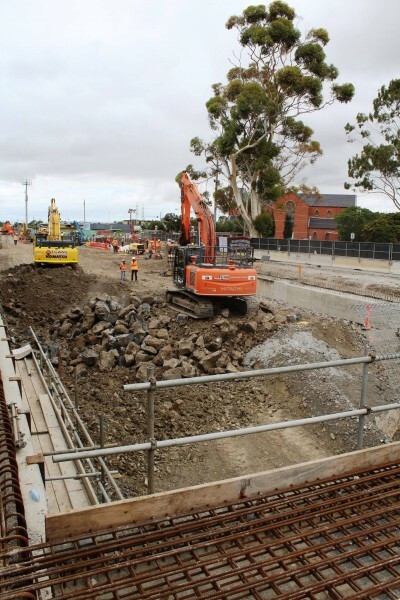 The demolition of the station building and platform was the first step in this project, which will lower the rail line below Main Road and rebuild St Albans Station with access to platforms below street level. 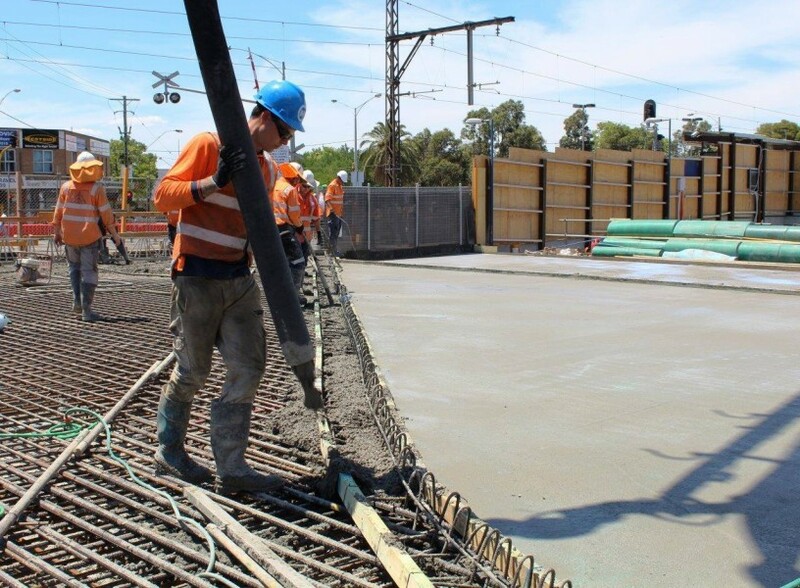 When completed, trains will be able to pass safely underneath the road, eliminating the risk of trains colliding with cars, pedestrians and cyclists on Main Road. 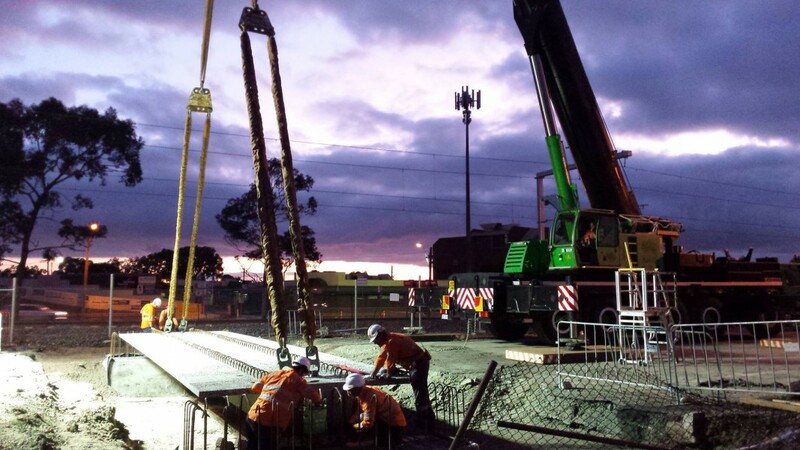 Delivering Main Road at the same time as Furlong Road means that rail shutdowns can be shared and there will be fewer disruptions public transport users as well as project cost savings in the long run. This project, which will create 200 jobs, is part of a $480 million package of works by the Andrews Labor Government.